Gazing out of the taxi window, stuck in one of those infernal Beijing traffic jams on our way to the cavernous Beijing West Train Station 北京西 for the umpteenth time, I always found my eyes fixing on a huge pagoda majestically rising above the sprawl of residential buildings. I can’t count the number of times I said to Margie, “we must find out what it is”. 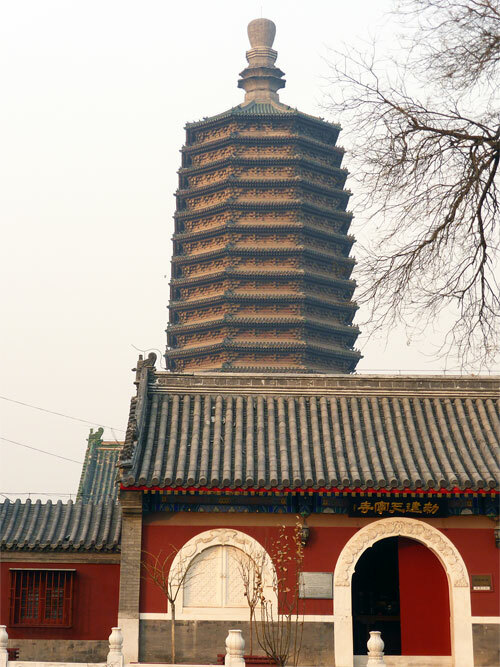 However, once on the train and out of Beijing, our thoughts moved on to the new adventures that lay ahead and our curiosity in the pagoda waned until the next time we were yet again on our way to Beijing West 西站 and the pagoda again caught our attention. 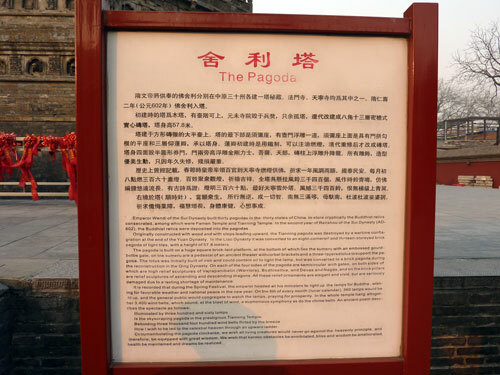 Sometimes, we asked our friends living in Beijing if they knew the pagoda. Most just shrugged their shoulders and told us it was obviously the famous Bai Yun Si 白云寺 (White Cloud Temple). However, that just couldn’t be so.On the map, the Taoist White Cloud Temple is on your right as you drive west towards the station, this pagoda was on the left. It had to be something else. With a few days to spare in Beijing on our last trip, we decided to find out what this mysterious pagoda was. And what a find! After visiting the White Cloud Temple we headed south west crossing under the six-lane elevated highway that heads towards Beijing West train station and entered Fengtai District. From there we basically followed our instincts until we knew we had to be close. From ground level it is almost impossible to glimpse the pagoda even when you are so near. We eventually had to ask several locals to help us locate the entrance to the pagoda and temple complex. We were directed through a housing compound and suddenly as we turned a corner there it was, and at last, years of curiosity were finally satisfied. 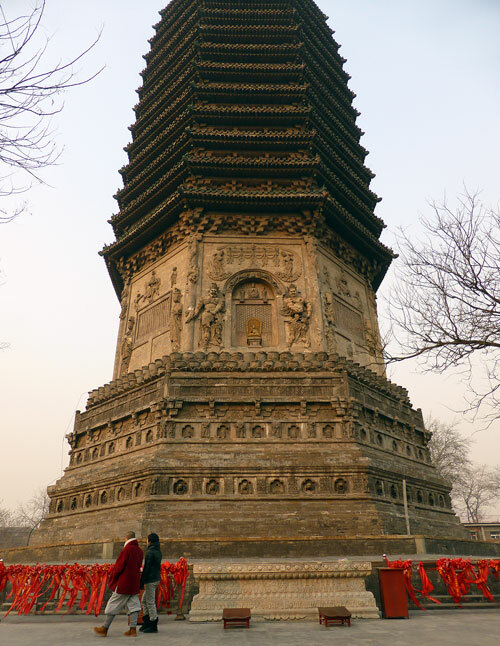 The pagoda not only is enormous and imposing but also elegant and refined at the same time. 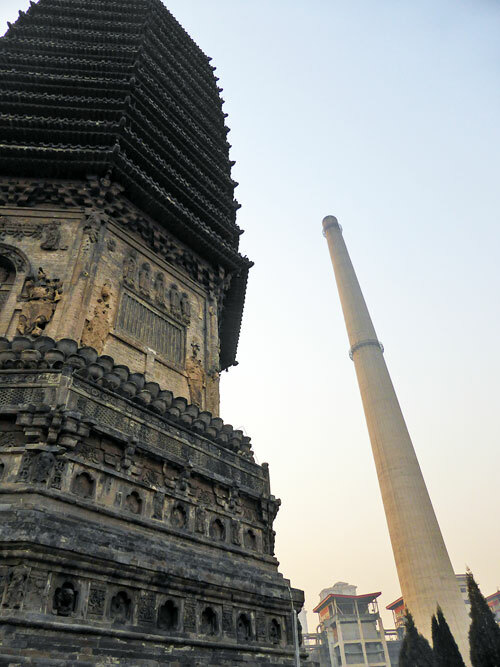 It towers above the surrounding neighborhood, its only rival, a large chimney from the cement factory next door. 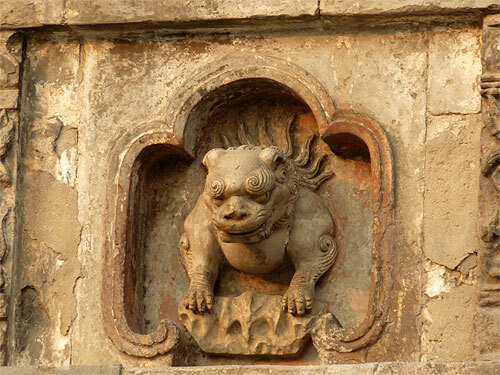 We felt as if we had uncovered one of Beijing’s last hidden gems. The Tianning Temple and Pagoda天宁寺塔is Beijing’s only surviving Liao Dynasty monument. 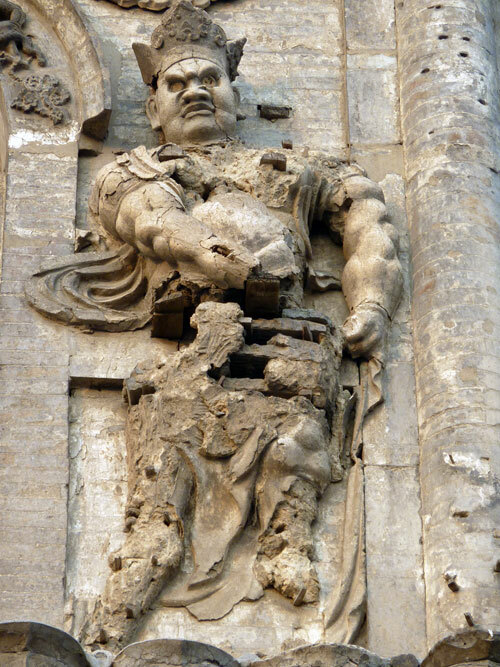 It was built somewhere between 907 & 1125. 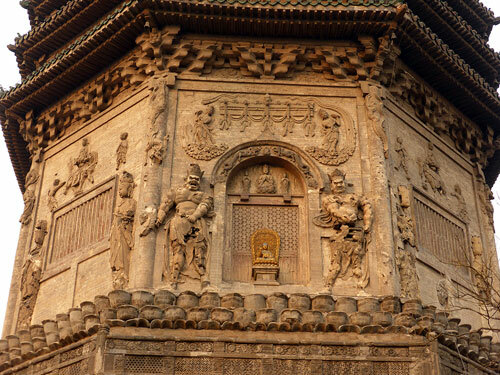 Its base dates from the 4th century Northern Wei Dynasty. 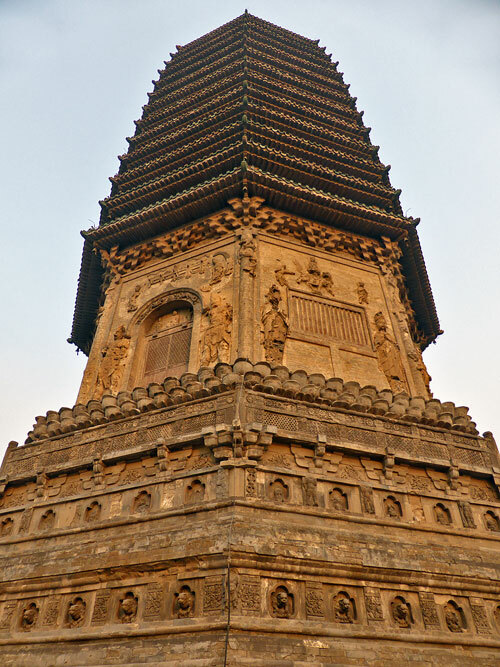 The pagoda has an octagonal design and its stone brick-work is made to resemble traditional layered wooden carpentry. On the sides of the pagoda are some nice statues and ancient figure heads. 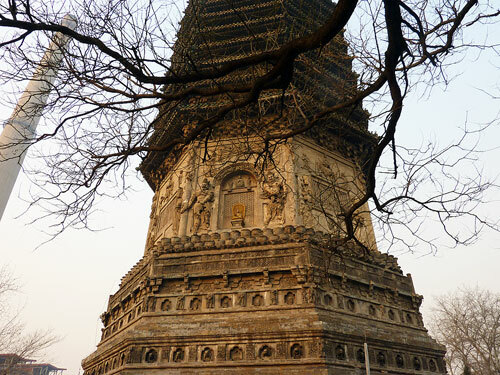 The Tianning Temple and Pagoda has remained unknown even to the locals of Fengtai district. It is only due to a recent renovation that people are coming to know about it. There are no tourists or entrance ticket, just a few locals walking around the complex enjoying the peaceful atmosphere away from the rest of the frenetic city. The juxtaposition of this graceful pagoda next to the grim factory couldn’t be more striking. We spent a while contemplating the pagoda and enjoying the feeling of having accomplished our mission. With our inquisitiveness fulfilled, we headed off to the wonderful Beijing Capital Museum to try and catch it before closing time. 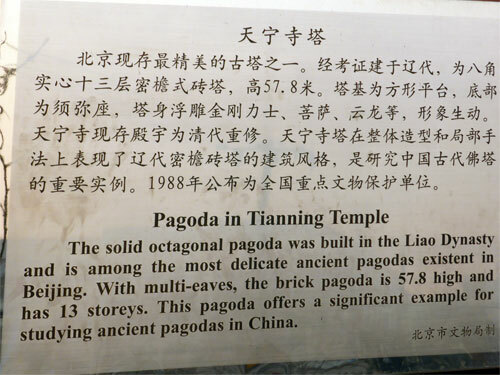 However, we failed, having lingered too long at Tianing Si Ta天宁寺塔. 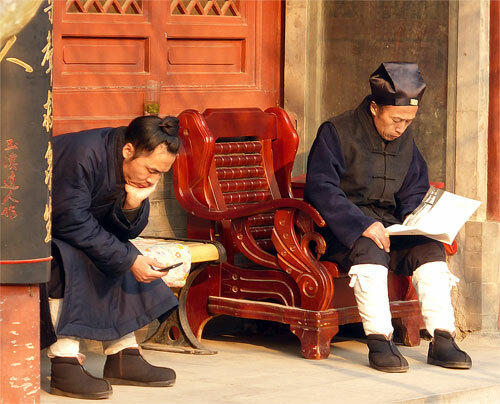 Located just across the Xuanwu Border in a small corner of Northern Fengtai District , just outside the 3rd Ring Road. It takes about 15 to 20 minutes to walk there from the Taoist temple of Bai Yun Si 白云寺。You will probably need to ask some locals for the entrance as it is quite hidden and for the moment almost completely unsignposted.